KM 125/130 R D 1280150203 https://www.kaercher.com/tn/professional/sweepers-and-vacuum-sweepers/vacuum-sweepers-ride-on/km-125-130-r-d-1280150203.html The patents which distinguish this individually customisable ride-on vacuum sweeper include the optional sweeping crescent side brush, the Tact filter cleaning and the Teach system. The patents which distinguish this individually customisable ride-on vacuum sweeper include the optional sweeping crescent side brush, the Tact filter cleaning and the Teach system. New brushes achieve good sweeping results – this particularly applies to the sweeping crescent side brush. 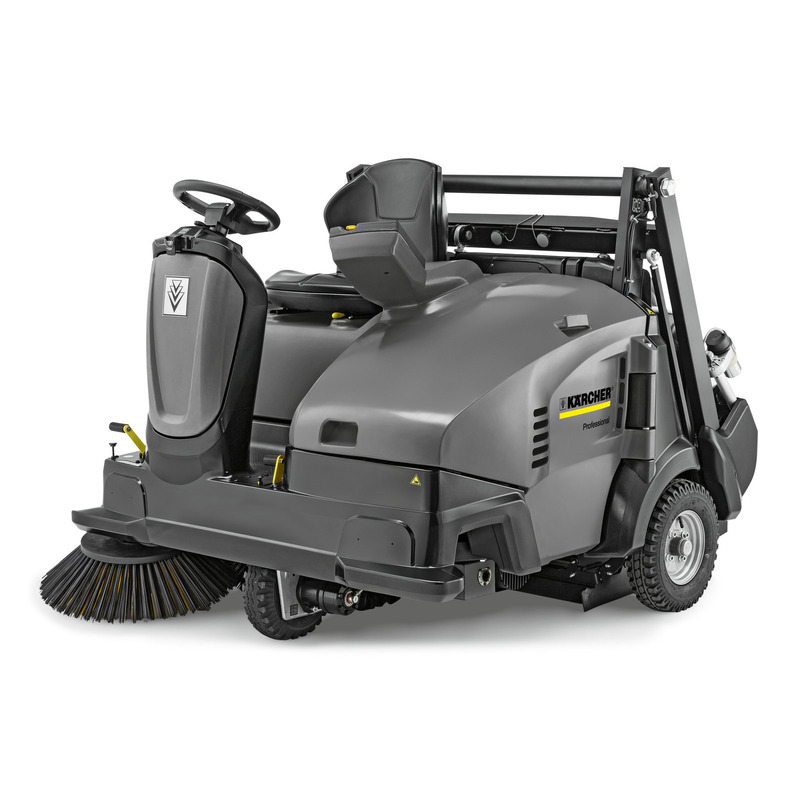 Optionally available for the individually configurable KM 125/130 R D ride-on vacuum sweeper with electrohydraulic high container emptying, this patented innovation saves you a lot of time. It allows corners to be swept out with just one pass, removing the need for further sweeping by hand. Even the standard version of the machine halves the number of passes required to sweep corners compared with other machines. And if that's not enough, the machine is overflowing with patents: The fully automatic Tact filter cleaning makes work dust-free, the Kärcher Intelligent Key System assigns different privileges to different users. The main sweeper roller located between the rear wheels allows even high obstacles to be crossed with ease, while our Teach system automatically adapts the rollerto the height if wear and tear is detected, constantly ensuring the best sweeping results. Three different contact pressures can be selected, depending on the dirt or ground surface at hand. Contact pressure and wear and tear is displayed clearly on the multifunctional display.